San Diego Assemblywoman Lorena Gonzalez Fletcher Thursday blasted county supervisors for considering joining the Trump administration’s lawsuit against California’s so-called sanctuary state law. San Diego County Board of Supervisors Chairwoman Kristin Gaspar scheduled a closed-door board meeting for April 17 with the county attorney to discuss that legal challenge, as well as a lawsuit filed by state officials this week against the federal government over a Census question about citizenship status. The scheduled meeting comes after Orange County supervisors voted unanimously on Tuesday to join the Trump administration’s lawsuit against the sanctuary state law, which limits cooperation between local law enforcement and federal immigration officials. 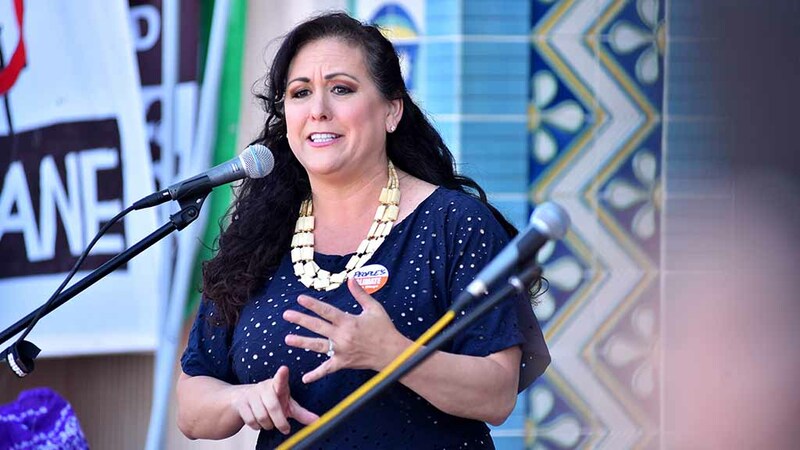 Gonzalez Fletcher said Thursday it’s “unbelievable” the all- Republican San Diego board would consider following in the footsteps of the Orange County leaders given the San Diego region’s large immigrant population. Sheriff Bill Gore is “staying neutral” on whether the supervisors should join the lawsuit, spokeswoman Lt. Karen Stubkjaer said. Gaspar, through a spokeswoman, declined to indicate where she stands on either lawsuit. Supervisor Greg Cox said he agreed with Gore’s take. Supervisor Dianne Jacob was clear in her support of following Orange County’s footsteps.